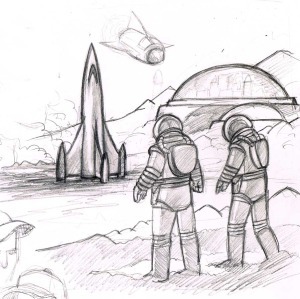 Here is an example of the sketch (above) and finished product (below) of “Out for a walk” an illustration for an upcoming science fiction project. We are still in the early, conceptual stages of the project, but I am already liking where this is going. 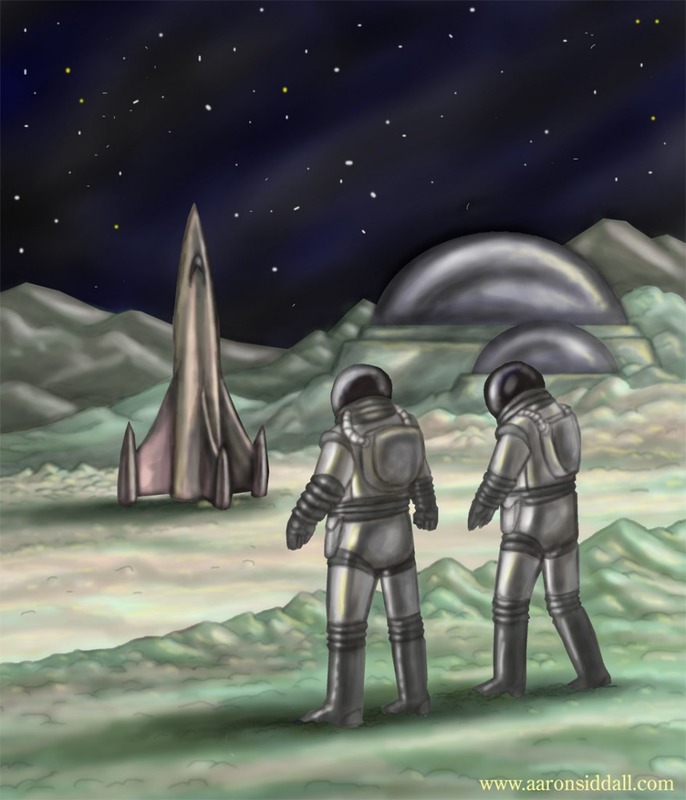 This entry was posted in Projects, Science Fiction on October 3, 2014 by ArtMercenary1.